A breathable sports bra designed for a locked-in fit. 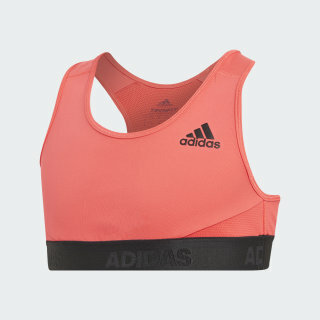 Refresh your training routine in this junior girls' sports bra. 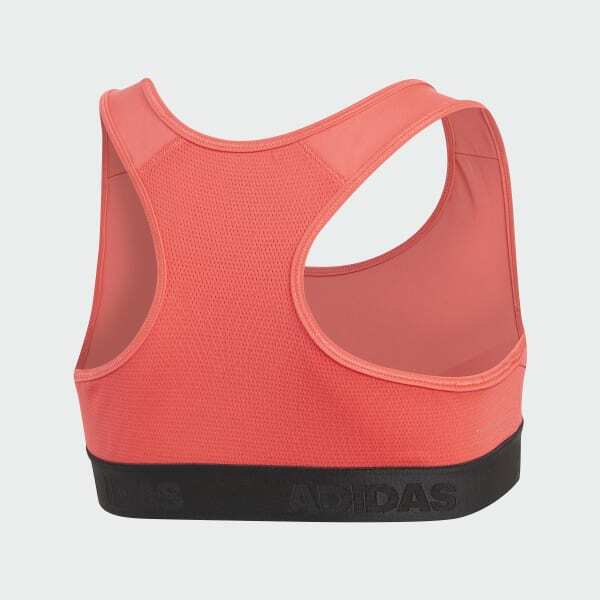 It features breathable Climacool manages heat and sweat so you stay comfortable during reps, and a mesh panel in back adds targeted ventilation. adidas is committed to creating products in more sustainable ways. This sports bra is made with recycled polyester to save resources and decrease emissions.